Here is the trailer from the upcoming film I LOVE YOU, DADDY. 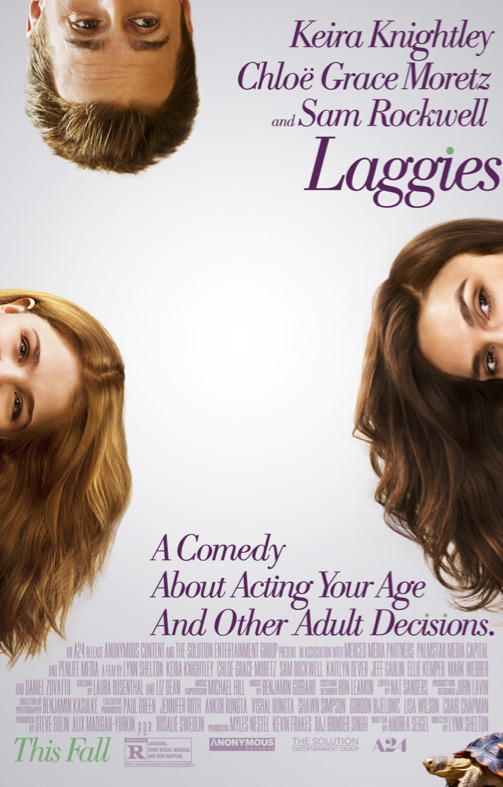 The movie is directed by Louis C.K., starring Louis C.K., Chloë Grace Moretz, Charlie Day, Edie Falco, John Malkovich, Rose Byrne, and Helen Hunt. Hesitant to say no to his daughter—an action which might stem the steady stream of “I Love You, Daddy” endearments with which China manipulates her father—Glen exasperates the host of women who circle his life, including his combative ex-wife Aura (Helen Hunt), feisty ex-girlfriend Maggie (Pamela Adlon), and his long-suffering production partner Paula (Edie Falco). Caught in a writing dry spell, he distracts himself by courting glamorous movie star Grace Cullen (Rose Byrne), who is interested in playing the already-cast lead role in the upcoming TV series he hasn’t yet begun writing. Glen’s teetering world is further upended by his interactions with Goodwin, who is both the increasing focus of China’s attentions and the revered idol who devastates Glen by appearing to dismiss him outright as a creative person. Glen’s brash TV actor buddy Ralph (Charlie Day) makes matters worse through rude observations that inflame Glen’s deepest insecurities about his daughter. The real problem, however, is that Glen isn’t sure exactly what is going on between China and Goodwin—and what he should be doing about it. 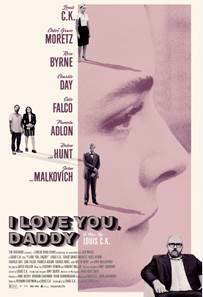 Conceived in the high style of 1940s Hollywood movies, with lustrous black and white 35mm photography and a soaring orchestral score, I LOVE YOU, DADDY blends a classic look with Louis C.K.’s raucous modern comic sensibility to tell the story of a flawed man’s struggle to connect with his daughter and get back on his feet as an artist.